Have you ever dreamed of making your own video game, but gotten stuck with every tool you’ve looked at? Here are five you can start with that aim to make the process as simple as possible – no programming necessary. We’ve shown you development tools you should learn to make your own games, but that article probably suited people with a background in computer science, or at the very least an interest. If you want to learn about making games, but don’t want to dive deep into programming first, here are a few basic tools for getting started. Master these and you can relate games on major platforms, and eventually get yourself to a place mentally where you can tackle more complicated development tools. Let’s get started. Want to make a game, but don’t know the first thing about programming? Start here. Code.org’s Flappy Code is a perfect tutorial for anyone interested in learning basic programming skills. As you can see above, it’s a drag-and-drop interface that shows you, one step at a time, how the logic behind Flappy Bird works. If you’ve no idea where to start with programming, or want a site for teaching kids the basics, check this site out first. It’s a great tutorial that takes advantage of a game pretty much everyone is familiar with. Flappy Code is little more than a tutorial – Stencyl lets you actually build an entire game, and ultimately release it across platforms. This is a full blown development environment, intended for non-programmers. This isn’t going to be intuitive: it’s something you need to work at. But check out the games other have made and you’ll see that learning this system can result in great work, for those willing to take the time. The software is free to download, but if you want to publish your creation on desktop computers (Windows, Mac, Linux) or mobile devices (iOS, Android), you’re going to have to pay for a license. My advice: see if you can manage to create something before worrying too much about the license. It’s a free, web-based system that helps you through the process quite a bit, and there’s a decent community out there to help you. It’s worth noting that, unlike Stencyl, the free version limits the creation process – you can only make 5 levels, with a total of 50 objects Still, if you’re just looking to experiment, it’s worth checking out. The above two systems focus on creating graphical games, but what if you’re more into creating Interactive Fiction? Twine might be a better tool for you. This free program gives you a simple way to create a web-based version of those “Choose Your Own Adventure” books everyone remembers fighting over in school libraries. Check out some of the games made by Twine, then get started yourself. You might end up creating the next great web-based Interactive Fiction classic. We end today’s column as we began: with Flappy Bird. Flappy Creator isn’t a programming tutorial, though: it’s a quick way to create yet another unnecessary Flappy Bird parody by simply uploading your own art. Insert your dog, grandmother or any other stupid thing into this game, because you can. Please, please don’t do this. But if you do, don’t link to your abomination in the comments below. Seriously, I can’t handle it. Don’t. 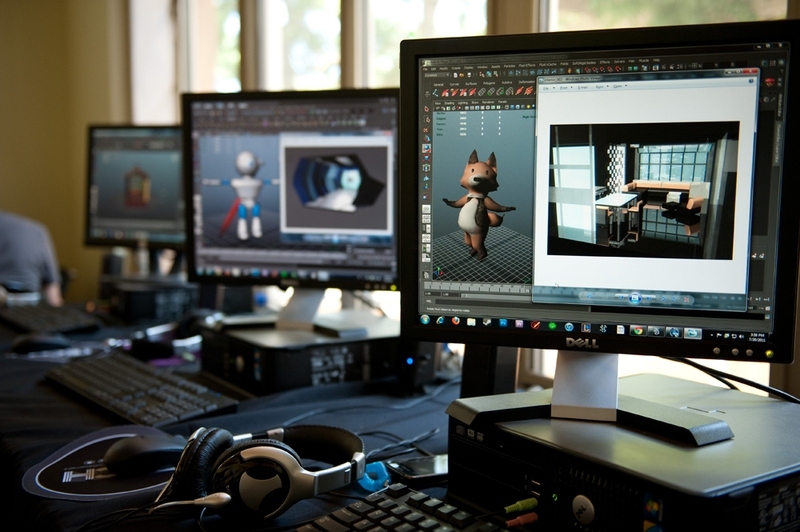 If you’ve always dreamed of creating a game, these tools are a great place to get started. But no tool can force you to put in the time necessary to learn a new skill – because that’s what you’re trying to do here. Apply yourself, though, and you just might end up making something great.